For more from the Harper family, try the prequel novella The Garden of Magic or the standalone sequel, The Secrets of Ghosts. When you are ready, seek, and you shall find. It is your gift. Gwen Harper left Pendleford thirteen years ago and hasn’t looked back. Until an inheritance throws her into the mystical world she thought she’d escaped. Confronted with her great-aunt’s legacy Gwen must finally face up to her past. The magic she has long tried to suppress is back with a vengeance but gift or burden, for Gwen, it always spells trouble. She has to stay – she has nowhere else to go – but how can she find her place in the town that drove her out after branding her a witch…? It was published by Carina UK in May 2013 and became an Amazon best-seller. 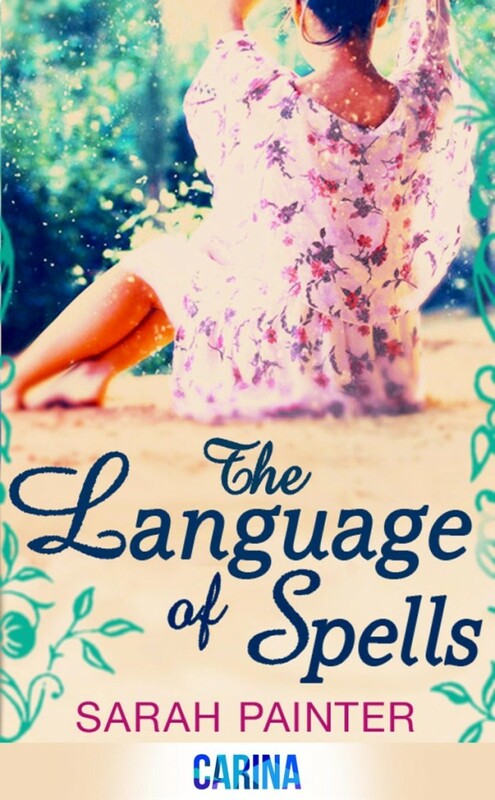 The Language of Spells is available from Amazon UK, Amazon US, Kobo, iBooks and Nook. ‘Sarah Painter is a talented new writer, and her debut is a charming, romantic and intriguing story, with a little touch of magic. It had me enchanted.’ Clodagh Murphy, author of Frisky Business and Girl in a Spin.